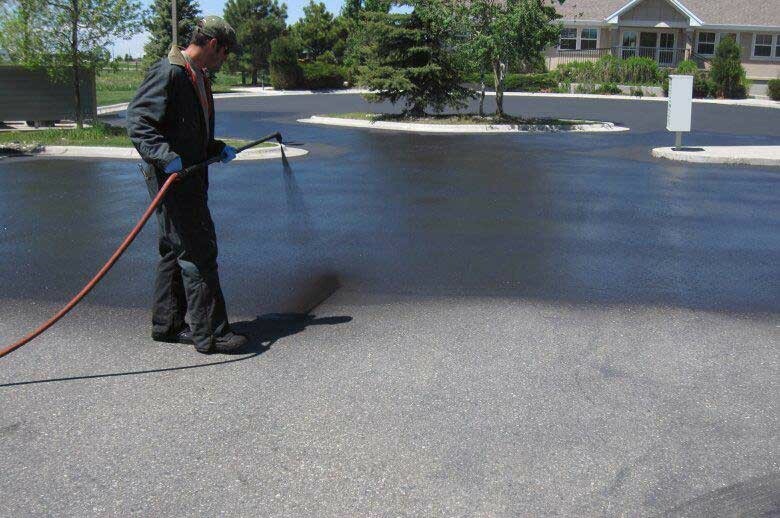 Asphalt Seal Coating is designed to protect asphalt pavements from the damaging effects of the environment, including moisture, pollutants, and oxidation. Seal Coating also minimizes raveling (the loss of aggregate) and fills minor voids in the surface. Seal Coating makes a smooth and attractive surface that resists aging and protects the valuable pavement. Periodic asphalt maintenance such as seal coating will extend the life of the asphalt up to 20 years. New asphalt surfaces that are seal coated within their first year will experience less degradation from UV damage, water and traffic. When applied appropriately and at the right time, seal coating prevents oxidation caused by harsh weather like rain and snow. 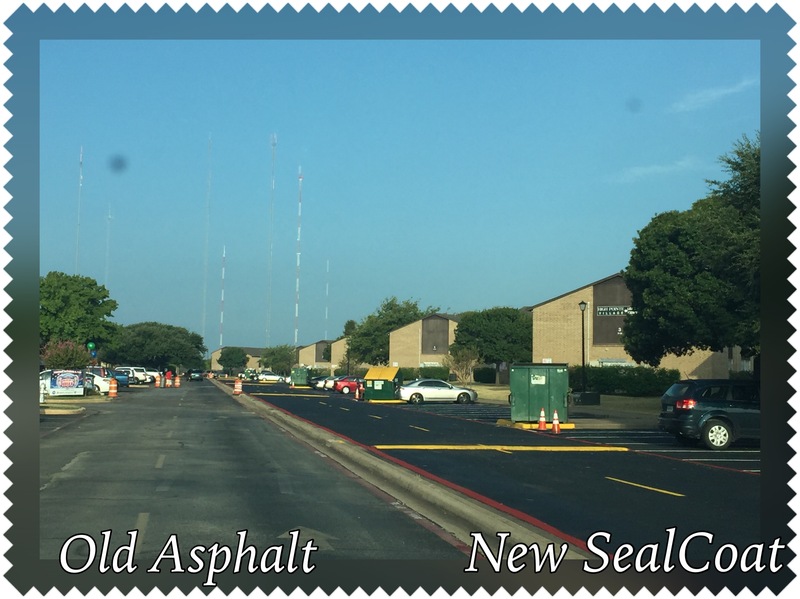 By seal coating annually, asphalt can be preserved for an extended period of time. Seal coating also saves property owners from spending money on costly asphalt repairs. Seal coat your property today! Asphalt maintenance goes beyond just sealcoating. A lot of damage to asphalt can occur with water intrusion through cracks in the asphalt. Crack filling is an essential application in addition to seal coating for long term pavement protection. Crack sealing is a method in which hot rubberized asphalt sealant is applied to cracks. 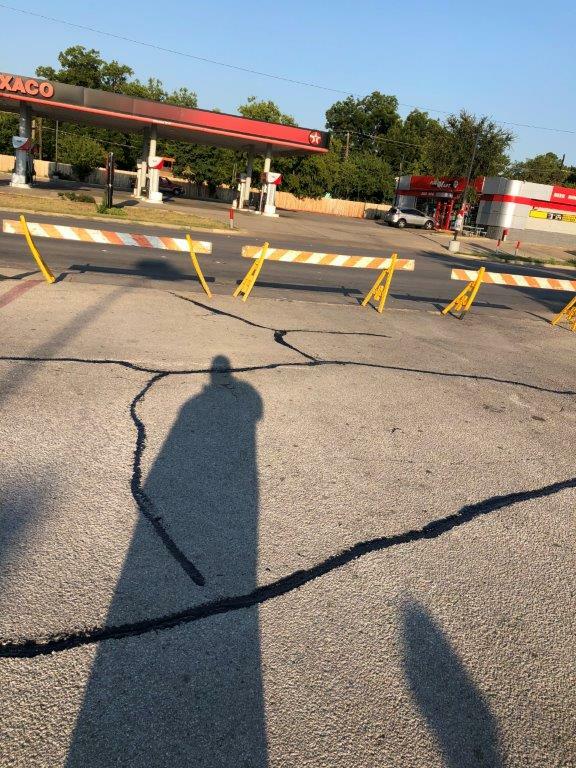 It is used to fill individual pavement cracks to prevent entry of water or other non-compressible substances such as sand, dirt, rocks or weeds. Crack sealant is typically used on longitudinal cracks, transverse cracks, reflection cracks and block cracks. Fatigue cracks are most often too extensive to warrant filling with crack sealer; they usually require an area treatment such as a patch or reconstruction. Average performance life ranges from about 3 – 7 years. Preventive maintenance. Crack filling to prevent entry of water or other non-compressible substances into the pavement.